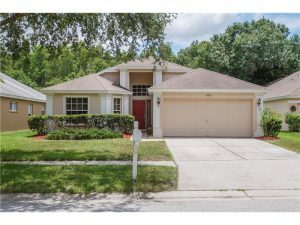 If you are looking for Citrus Park homes for sale? I’ve been a full-time Realtor since 1997 and have helped 1,000's of home buyers and sellers. I can save you a ton of time, money and frustration. Plus – my services are FREE to you as a home buyer. Please watch the video to get a good overview of the Citrus Park area. Give me a call or email me and let me start helping you today. Citrus Park homes for sale have that variety in price and convenience that every family is looking for. From the vast variety of homes for sale in Florida, this large community has something for everyone. Aside from having great options for those who are interested in the many properties, the area of Citrus Park is just minutes away from Tampa Airport and downtown Tampa. Talk about perfect location! Citrus Park has become a very high demand area for all kinds of people from families to professionals and seniors. If you want to find real estate for sale in North Tampa that are within walking distance like schools, shopping mall, restaurants etc – this is defiantly a place to consider. Many Citrus Park homes are also known for their community living. Homes for rent also are available for families and professionals not looking for something for sale. Some of these properties are near the lakes that surround the area giving them great views for those who love nature to be waiting in their back yard. The community of Citrus Park includes many great areas such as Logan Gate and Fawn Ridge. You may search for Citrus Park homes for sale in these areas by browsing our site. Whether you want to settle down nearby the city or prefer a nice quite place along the lake, you can have everything you need outside your door.